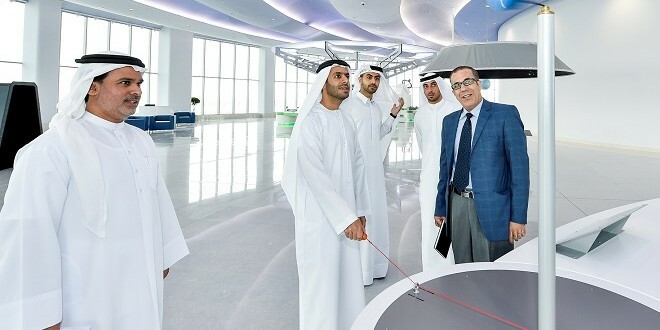 HE Marwan bin Jassim Al Sarkal, CEO of Sharjah Investment and Development Authority (Shurooq), recently visited the Sharjah Center for Astronomy & Space Sciences at its headquarters in the University City of Sharjah to discuss means of cooperation between the authority and the centre with the joint aim of boosting tourist activity. HE Marwan Al Sarkal and the accompanying delegation were received by Ibrahim Al Jarwan, Deputy Director of the Sharjah Center for Astronomy & Space Sciences, Marwan Anwar Shwaiki, Manager of Sharjah Planetarium and Mohammed Fadil Talafha, Assistant Manager of Sharjah Planetarium. Marwan Al Sarkal presented a number of proposals to help promote the centre and increase its publicity, such as including ads for the centre in the stations of Shurooq’s Sharjah Sightseeing bus and setting up an outlet for I Love Sharjah’s items at the centre itself. 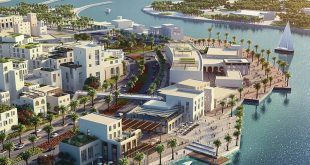 Al Sarkal expressed Shurooq’s readiness to commercially develop the centre by attracting investors and renowned restaurant and café chains to open outlets in the centre to serve visitors and employees. 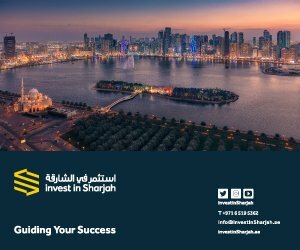 Al Sarkal suggested linking the Sharjah Center for Astronomy & Space Sciences with international space aviation and astronomical institutions as well as other specialised centres, a link that Shurooq can facilitate by establishing contacts with those entities with the aim of serving the interest of the centre and raising the profile of the emirate in the fields of astronomical and space sciences. He added that the authority is eager to make this type of tourism unique. Ibrahim Al Jarwan welcomed the visit of Shurooq’s delegation to the Sharjah Center for Astronomy & Space Sciences and Sharjah Planetarium. He stressed the centre’s willingness to collaborate with various government, academic and scientific entities, and added that Shurooq’s efforts will help increase attention to the centre and will put it on the agenda of tourists heading to Sharjah. Marwan Anwar Shwaiki, Manager of Sharjah Planetarium, stressed the scientific and touristic importance of the planetarium which is considered the largest in the Middle East and takes its visitors on an amazing journey from the Earth to the universe. 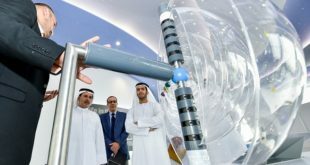 His Highness Sheikh Dr Sultan bin Muhammad Al Qasimi, Member of the Supreme Council and Ruler of Sharjah and President of the University of Sharjah, opened the Sharjah Center for Astronomy & Space Sciences (SCASS) last May. 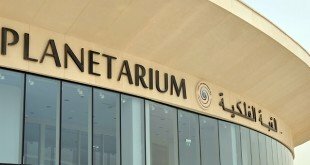 The centre’s complex consists of six main departments: the Planetarium, the Scientific Exhibition Hall, the Astronomical Observatory, the Universe in the Holy Quran Exhibition, the Astronomical Technology Laboratories, and the Universe Park.